The Happy River is appropriately named. Bouncing and splashing, this clear little stream tumbles along between banks of bright green moss, never too threatening nor languid. We watched the Happy grow from a knee-deep creek to a small river. 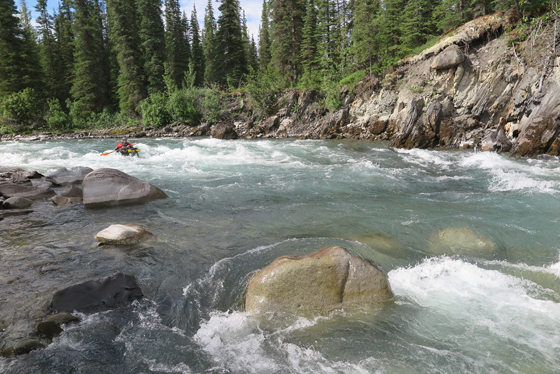 A few technical class III rapids near Pass Creek proved to be the hardest whitewater. Most of the time, the Happy danced swiftly from corner to corner, a continuous gentle roller coaster of class I and II water. 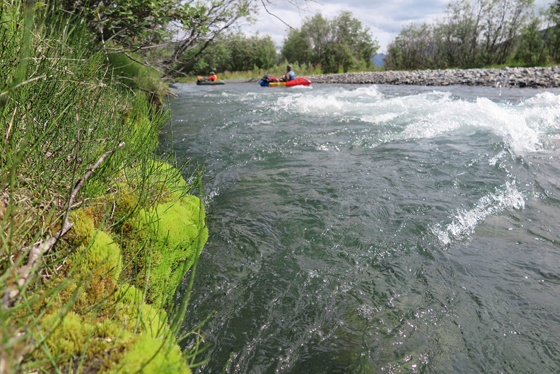 Occasionally, king salmon could be spotted, red missiles holding still in eddies under the water. 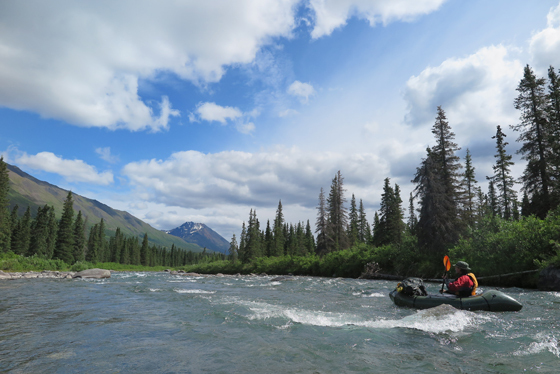 After many miles, beneath swooping eagles, past arching spruce, over splashy riffles, we chose an island camp, halfway down one of the Happy’s many gravel bar rapids. 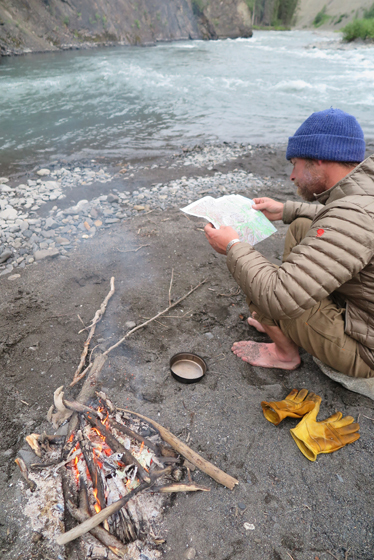 Via satellite phone, a pick-up was arranged near the Talachulitna River confluence, along the banks of our old friend, the Skwentna. 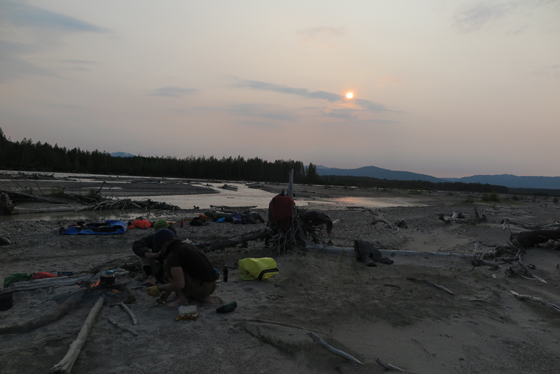 We had camped along its turbid source waters a week earlier. 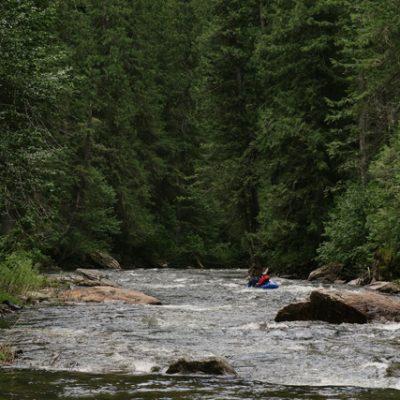 Now we would rejoin the Skwentna where it is a big river, running into lush spruce valleys at the foot of the range. 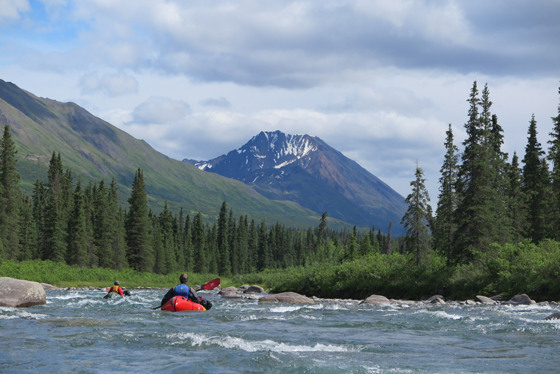 Miles came easily on the big Skwentna, still swift with the energy of melting glaciers behind it. We gazed at dense forests rolling past, and speculated how slow and difficult it might be if we were walking through this country. 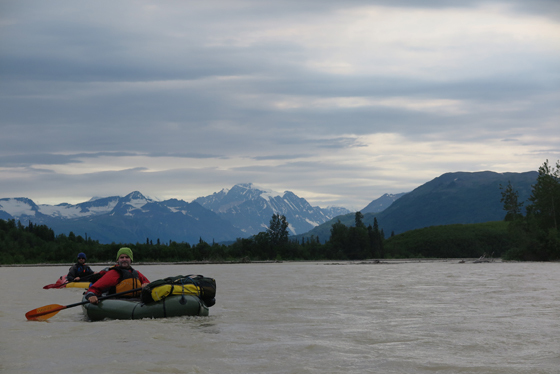 We were glad for our pack rafts, our good fortune in the Alaska Range, and one last evening in the glow of a setting midnight sun.